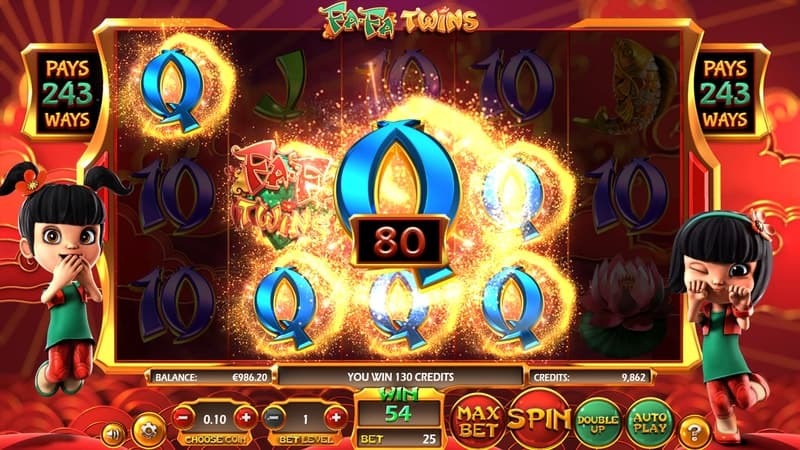 Fa Fa Twins slots machine is another masterpiece from the notorious developer Betsoft, a pioneer in 3D cinematic experiences. 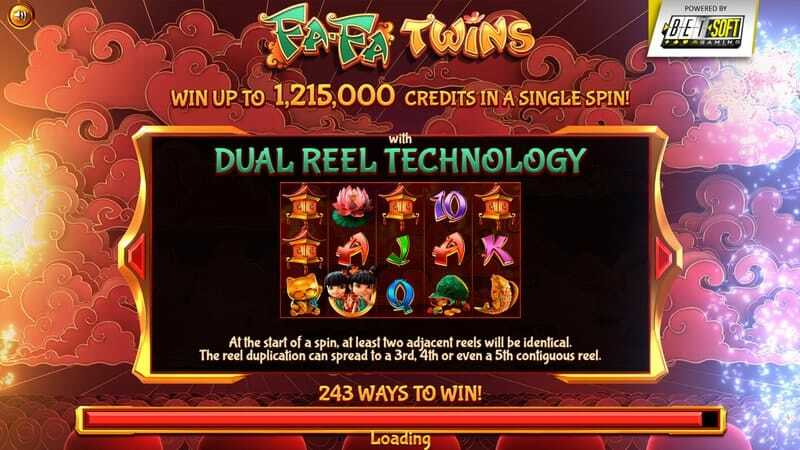 Inspired from the Japanese anime, Fa Fa Twins online slot is a 5-reel game with 243 ways to win. 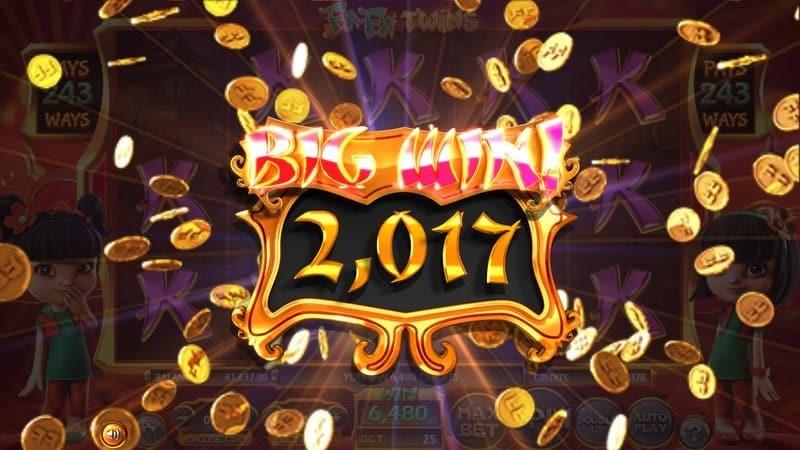 Its top-notch graphics casino game, richly animated reels and fun game-play make the game stand out from so many other Asian culture themed slot video games in the industry. 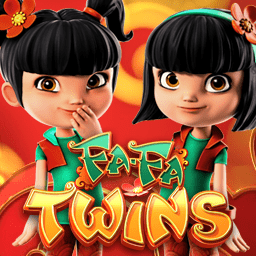 The Fa Fa Twins slots theme takes you on a journey to the Asian lands that are full of rewards and fortunes for players to be awarded with. The main characters this adventure slots machine are 2 adorable and sweet little Japanese twin-girls who are greeting you upon your arrival sitting left and right of the screen. As you already guessed all the symbols are theme related and visualize a koi fish, lucky gold cats, a bag of coins, red lanterns, and pink lotus flowers. 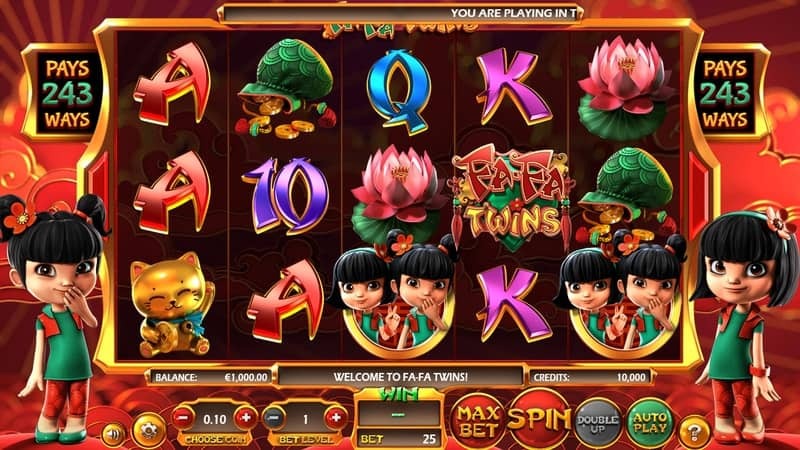 Fa Fa Twins slots game play offers a newly released feature for online slots. Betsoft are coming with a huge and innovative surprise using the Dual Reels Feature for the 1st time in the industry. What exactly does that mean? Before each spin at least 2 successive slot reels will be identical. The duplication of the reels grants you an instant match which might extend all the way to the 5th reel and contribute to a big cash prize. 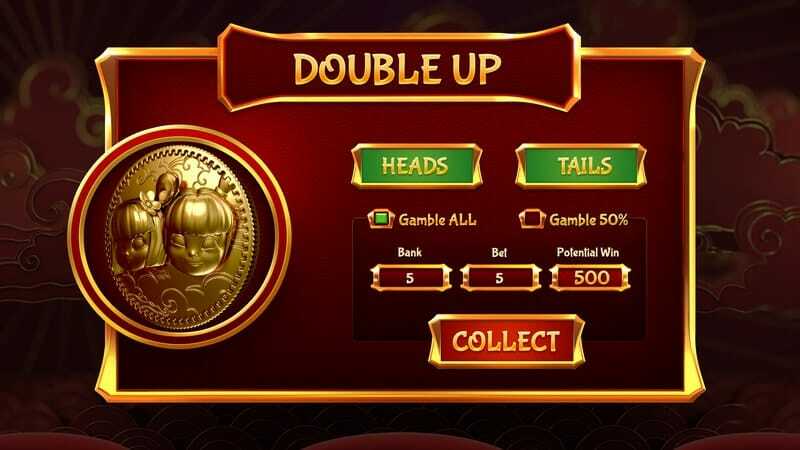 The Fa Fa Twins slot game has a Double-Up feature. In this feature you can multiply all or half of you winning combination by playing a coin-toss game and make the correct guess. The actual slot game logo acts as a Wild symbol and can land everywhere but on the 1st reel having the capacity of replacing all the other symbols and offering you additional payouts chances. If you do manage to land 5 Fa Fa Twins symbols on the reels you can win up to 5000 coins. Despite not being filled with Bonus features or Free Spin features, Fa Fa Twins video slot is a pleasure to both watch and play. This online casino game is very engaging with a decent RTP rate of 95.28% so Casinos Online Review recommend you give it a chance to make you rich. Play the Fa Fa Twins slot for free in our casino GAMES ROOM or play for real money at one of the approved Betsoft Casinos below. Peggy Winsalot is from Las Vegas and has been an slots player since she was in her early 20's. In 2003 she began to play slots online and is now a full time expert online casino slot machine player. Peggy gives our readers in depth reviews for everything you need to know about the latest online video slots including RTP%'s, Free Spins, Wild Features, Bonus Rounds and Progressive Jackpots Slots.